The case, United States v. Texas, stems from a group of 23 states suing to block the deferred action programs announced by President Barack Obama in November 2014 through an executive order. would have also expanded the already existing Deferred Action for Childhood Arrivals (DACA) program first introduced in 2012. 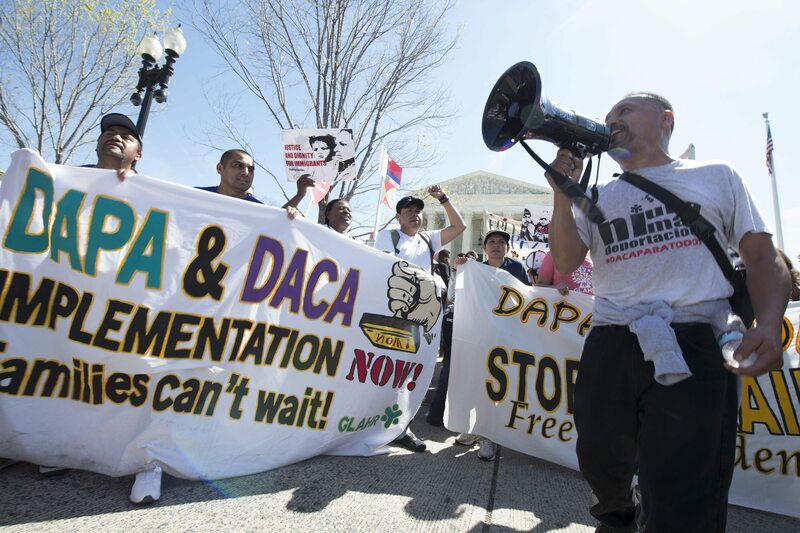 In 2015, a judge in the Southern District of Texas filed an injunction against DAPA/DACA. An appeals court upheld the injunction after which it was brought to the attention of the Supreme Court. The case was being judged two ways: Whether the president has the constitutional power to enact a program like this on his own and whether or not the program’s merits were legal. Either way, the 4-4 tie indicates the Court wasn’t able to agree on any of the case’s considerations. In a tie decision, the lower court’s ruling is upheld. The Court currently finds itself one member short after the passing of Justice Antonin Scalia in February, and refusal of some members of Congress to hold hearings on Obama’s nomination for the vacant position, Merrick Garland. A press conference was held after the Supreme Court’s decision in South Philadelphia by JUNTOS, a community-based immigration advocacy organization. Those who spoke at the conference said that immigrant families in South Philly are upset, angry, sad, but most of all afraid of being torn apart from their families after the DAPA/DACA block was upheld. “I’m here to send a message that we are not going to stop fighting for our community,” said Maria Sotomayor, a community organizer. “We’re not going to stop fighting until we can get our family together, until we can stop deportation and also to send a message to my community that we are united and we have a lot of people that are fighting. That you don't need to be scared and neither to be sad because we are here for you." This slideshow contains photos by AL DÍA Photographer Michelle Severino that show the event as it occurred. After the break you can read reactions from local and national immigration advocates. People affected by the split decision on the DAPA & DACA Lawsuit. 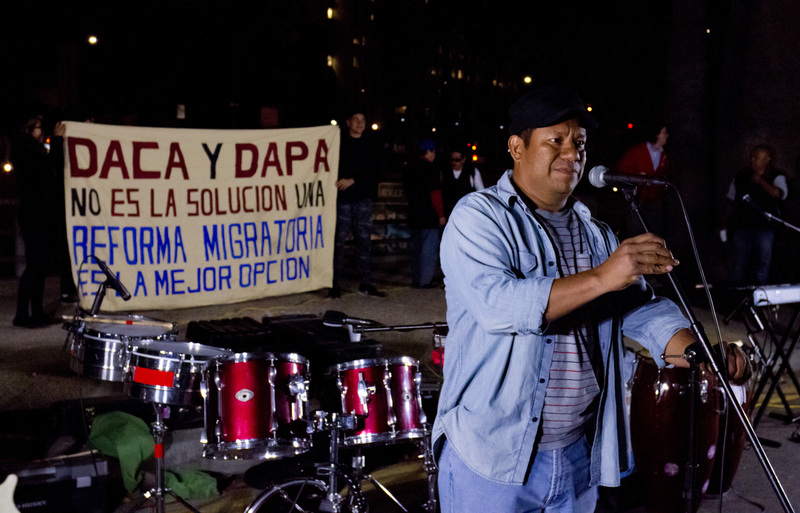 “The way to keep communities from living in fear is to put a freeze on deportations. It doesn’t take a new program for the President to direct his agents to investigate civil rights violations as vigorously as it currently hunts our loved ones. With the courts also taken over by the party politics that have ruled the immigration issue for more than a decade, President Obama has a responsibility to pursue alternatives to make his policies more humane.” - Marisa Franco, #Not1More campaign director. “It is never enough to divide our community into those who deserve relief and those who don’t. Under President Obama we have witnessed the creation of a parallel mass incarceration system strictly for immigrants. The relief offered by expanding deferred action is desperately needed and entirely constitutional. 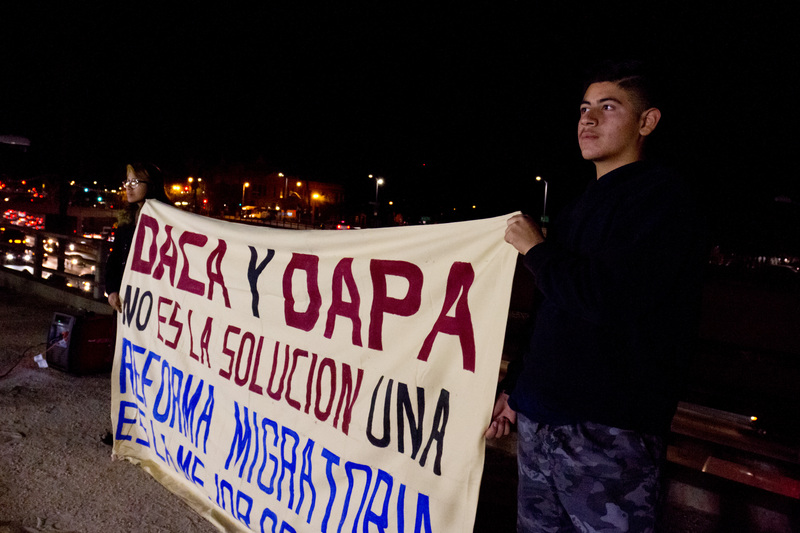 But even with DAPA, only a fraction of us would be protected. 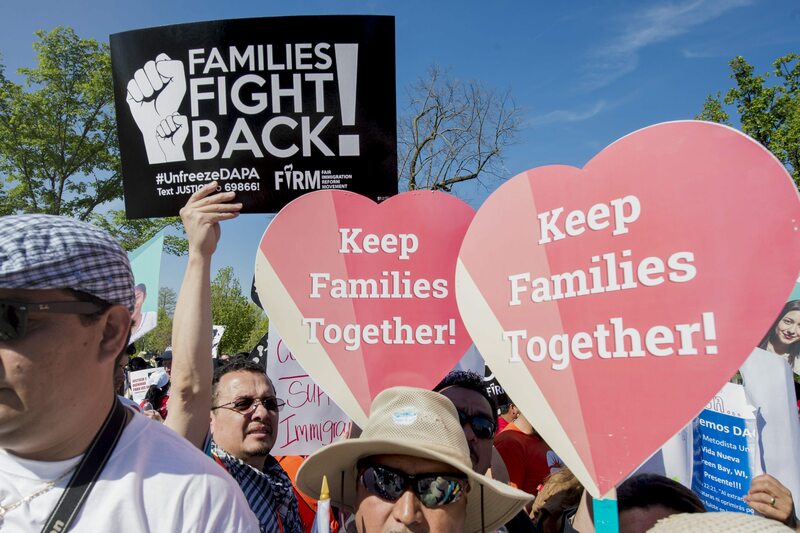 With it now blocked, many more of us still face the threat of the deportation machine that it is incumbent on President Obama to begin to dismantle.” - Tania Unzueta, Legal and Policy Director for #Not1More. "This decision is very disappointing to hear. It is so sad — it's the little hope we had and it has now been taken away from us." - Stevanie Theresia, Philadelphia Praise Center. "I feel very so frustrated. I had hope in the Supreme Court, that they would decide in our favor. But even though this is very hard for the immigrant community, we stay strong and keep working locally to win changes in our city and state" - Estela Hernandez, activist Visitation BVM. Today’s outcome is the result of Senate Republicans playing politics with the court and refusing to do their constitutional duty and consider the President’s replacement for Justice Scalia. Let's hold these politicians accountable in November. We need a government who will have our back and fight for the well being of our families” - Martín Diego Garcia, director of campaigns Latino Victory Fund. As a transgender, undocumented immigrant from Colombia whose family was deported my first semester at Georgetown University, I know just how critical programs like these can be for a person’s personal safety and how harrowing the effects of mass deportation can be for our community. It’s profoundly upsetting that the Supreme Court will allow the deportation of millions of people. And it is disheartening that an administrative policy like this one aimed simply at facilitating the right to provide for ourselves is still a contested issue.” - Catalina Velasquez, director of People For the American Way Foundation’s Young People For leadership program. Michelle Severino contributed to this story.